Considered the enfant terrible of the Polish avant-garde, lauded by critics and scorned by the public, Bruno Jasieński suddenly declared the end of Futurism in Poland soon after his short “novel” The Legs of Izolda Morgan appeared in 1923. An extraordinary example of Futurist prose, this fantastic tale cautions against the machine supplanting the human while the human body is disaggregated into fetishized constituent parts. As central to Jasieński's oeuvre, the text is situated here between two seminal manifestoes and the important essay “Polish Futurism,” which signaled the movement’s end in the context of its confused reception in Poland, the towering influence of Mayakovsky, and what set it apart from the futurisms of Italy and Russia. The condensed story “Keys” displays Jasieński’s turn toward satire to lambaste the hypocrisies pervasive in powerful institutions, and this is further developed in the two longer grotesques from his time in the Soviet Union in the 1930s. Translated into English from the Russian for the first time, these two late stories expose the nefarious absurdity of racial persecution and warmongering and the lengths social and political structures will go to underpin them. These are small but not minor works, and again show Jasieński to have been a considerable talent. 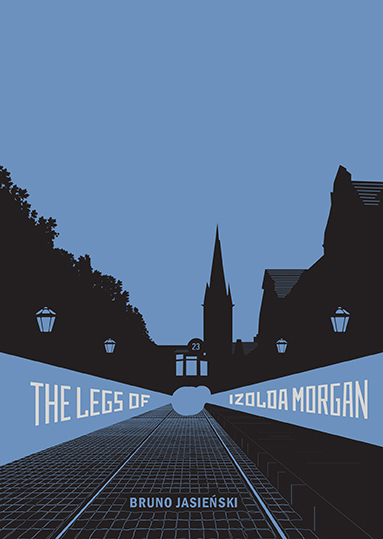 A bit of an odd mix – though revealing his range, too – The Legs of Izolda Morgan, in its lovely Twisted Spoon edition, is a very appealing little book. Jasieński deserves a larger readership, and this excellent first-taste sampler should help him find that. Those of us who are fond of Polish art, and these many splinter "-isms" that rounded out the War to End All Wars, will find much to pique them in this sketch of some mad artists (and jokesters) out of 1920s Poland. The Legs of Izolda Morgan was an important work in Jasieński's literary career. It reflects his definite break with Futurism. In it he indicates his disapproval of the Futurist cult of technology by showing how the materialistic world disintegrates under the impact of an explosive thought or experience. ... The cult of the machine leads to insanity. The underlying intention of ["The Legs of Izolda Morgan"] is to show that the violent intervention of machines in human life undermines the accepted premises on which the categories of being alive and being human have conventionally been based. The story thus illustrates the reciprocal contamination of previously clearly distinct categories of human and mechanical. The story also maintains that this happens as a result of people's fascination with the external, purely material nature of life, which leads them to misinterpret the essence underlying the categories of human and mechanical.